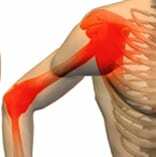 Injection Types - Piedmont Physical Medicine & Rehabilitation, P.A. 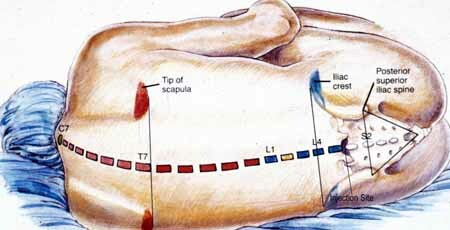 1) Trigger Point (Anesthetic) Injection: An injection of numbing medicine (Xylocaine) into the muscle. A numbing feeling can last for 4–6 hours. 2) Joint Injection: An injection of numbing medicine (Xylocaine) into a joint space. A numbing feeling can last for 4–6 hours. A small dose of steroid (Dexamethasone) may also be added to stop inflammation. This type of shot may hurt for a day or two until the steroid does its job. 3) Ligament and Tendon Injections: An injection of numbing medicine (Xylocaine) into the ligament or tendon. 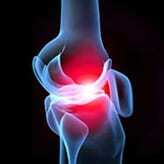 Also called Prolotherapy when strengthening medicine such as Sodium Morruhate are added. Pain may increase for a day or two before it gets better. This injection is usually done in a series of three. 4) Nerve Block: An injection of numbing medicine (Xylocaine) at or near a nerve (such as the Greater Occipital, Median and Peroneal nerves). A numbing feeling can last for 4–6 hours. Occasionally a small dose of a steroid-like compound (Dexamethasone) will also be added to stop inflammation. 5) Facet, Nerve Root and Paravertebral Region Block: An injection of numbing medicine (Xylocaine) onto the bones outside the spine. It is named facet when done in the low back and paravertebral when done in the neck or mid-back. A numbing feeling can last for 4–6 hours. 6) Neurolytic Injection: An injection of numbing medicine (Xylocaine) at or near a nerve that also contains compounds to deaden nerve endings. P2G in small amounts is typically used. The “P” stands for Phenol. 7) Botulinum Injections: Denatured botulism (such as Botox or Myobloc). These injections are used to partially paralyze or weaken over active muscle. 8) Epidural Steroid Injection: An injection of sterile water (Saline) and steroid (Dexamethasone) inside the spinal canal. In some cases, this shot can cause back pain and headaches for a few days. If this occurs, lying down will get rid of the headache. Diabetics may need to monitor blood sugars. 9) Electric Sympathetic or Stellate Ganglion Blocks: This block is done with patches on the skin and electricity. Side effects can include hoarseness, nausea, early or heavy periods, and skin burn. All side effects are temporary, although the skin burn (about the size of dime) heals slowly. 10) Sphenopalatine Ganglion (SPG) Blocks: An injection of some numbing medicine (Xylocaine) at or near the SPG in the face. 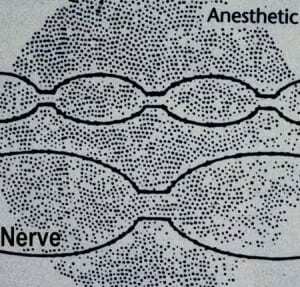 This is a type of sympathetic nerve block. A numbing feeling can last for 4–6 hours. 11) Superior Cervical Sympathetic Ganglion (SCSG) Blocks: An injection of some numbing medicine (Xylocaine) at or near the SCSG in the back of the mouth. 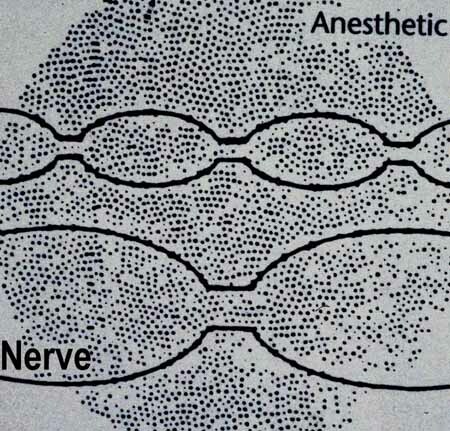 This is a type of sympathetic nerve block. A numbing feeling can last for 4 – 6 hours. 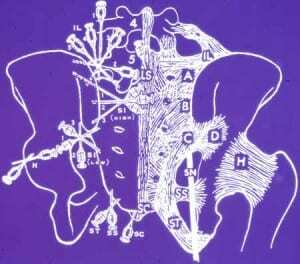 12) Plexus Block: An injection of numbing medicine (Xylocaine) at the side or front of the neck. A numbing feeling can last for 4–6 hours. 11) Platelet Rich Plasma (PRP): in injection of platelets (taken from your own blood). Pain is usually worse for about 72 hours. NSAID’s should be avoided. This is very close to stem cell injections and is intended to stimulate your body to regrow injured tissues. 12) Stem Cell: this involves harvesting of tissue from your own bone marrow or fat cells, separating out the most powerful growth factors, and then implanting them into joints or soft tissue in an effort to repair injured tissue. There is typically pain for several days afterwards. No NSIADS or blood thinners should be taken just prior to or after the harvest. The full effect can take weeks to months. When receiving an injection, focus all attention onto a spot on the wall or ceiling. Think about something special to you. Don’t be surprised if you hurt more before you feel better. Listen to your body. stretch or move when it feels right, but don’t overdo it. Rest when needed. Work with your body, not against it. Don’t expect something really big to happen. Some injections can take up to two week to get the full effect. Look for small improvements or changes, such as a warmer feeling of better movement.